See Top Safety Pick Winners 2016 Hyundai Sonata & 2016 Hyundai Tucson near Atlanta, GA. Both the 2016 Hyundai Tucson and the 2016 Hyundai Sonata were recently named as 2015 Top Safety Pick+” winners by the Insurance Institute for Highway Safety (IIHS). This is the highest safety award issued by the IIHS and both vehicles were chosen for their new front crash prevention system. 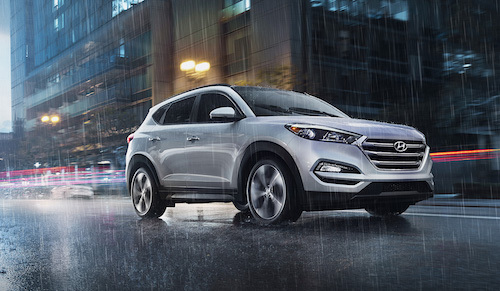 The redesigned 2016 Hyundai Tucson offers many advanced safety features such as Lane Departure Warning, Blind Spot Detection, Rear Cross-traffic Alert, Lane Change Assist and Automatic Emergency Braking with pedestrian detection. The Tucson’s body structure is also now made of over 50 percent high-strength steel for improved crash safety. Standard safety features on the new 2016 Hyundai Sonata include Vehicle Stability Management with Electronic Stability Control and Electronic Brake-force Distribution systems as well as seven air bags that span front, side and back areas of the cabin. Optional safety equipment for the Sonata such as Lane Departure Warning, Smart Cruise Control with start/stop, Rear Parking Sensors, Blind Spot Detection and Forward Collision Warning also contribute to the high safety ratings of the model. Hyundai designers and top executives are continuously striving to develop innovative and effective safety technologies for their vehicles. With each New Hyundai model safety features are more advanced than ever before. If you are shopping for a new car or crossover vehicle that is among the safest on the road, we invite you to consider the new 2016 Hyundai Tucson or 2016 Hyundai Sonata. 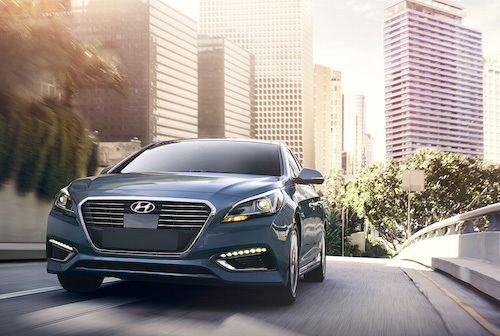 Our Atlanta area Hyundai dealership has a beautiful selection of both models in stock now.